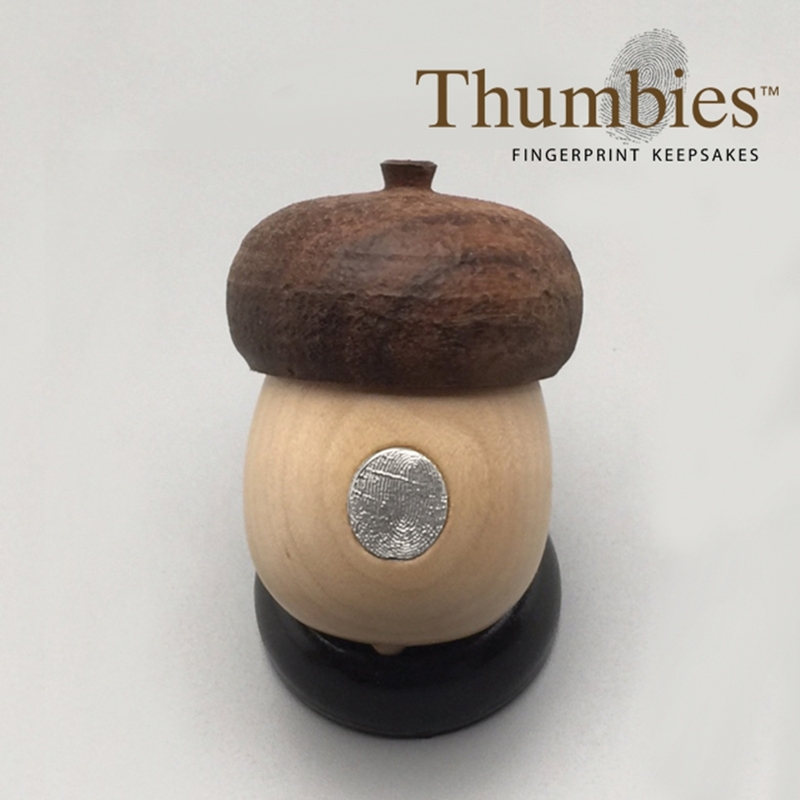 Artistic Urns has a long standing relationship with Meadow Hill Corporation, the maker of Thumbies, the original and official fingerprint keepsake jewelry. We are proud to be able to offer the .925 sterling silver Thumbie charm as a unique inset into our unique Acorn Keepsake. The three dimensional Thumbies are crafted from fingerprints using the time-honored process of lost wax casting. The finished pieces are ever so touchable, making real memories. These charms really dress up the Family Memorial Acorn for memories meant to last forever. This elegant option is available through a coordinated process between the family, the funeral director, Meadow Hill Corporation and Artistic Urns. The print must be sent directly to Meadow Hill. They will process the order, create the charm and invoice you direct for that portion of this item. The charm will then be sent to Artistic Urns where it is inset into the Memorial Acorn and shipped to you. There is approximately a five week lead time to receive the completed product. Artistic Urns will invoice the acorn.